An idiot abroad - Keep an open mind. I have travelled abroad since I was 8 years old. First trip was only to Belgium with family - we flew to Ostend and had a great time at The White Horse Inn. I has drawn money from my Post Office savings account and bought a traditional Netherlands costume and a costume doll. I loved the exotic, the new languages, learning to sing and dance to the Flemish Farmer's Dance. Dad bought me the record. I still remember the some of the words. That was the start of my romance with the world beyond home. I fell in love with new countries, new languages and different cultures. I have rarely been to the same place twice, ( and not just to avoid the need to apologise for my first visit). I have just always believed that life is too short not to explore and enjoy as much of the world as I can. I travelled in mostly in Europe until I was 15. In 1969 I went on a dancing tour to Switzerland as one of a team of twelve British under 12's. My passport was stamped in France, Luxembourg and Liechtenstein en route. I still have it. I went to Lisbon when Portugal was still under military rule, to Yugoslavia when it was still a communist country, to Italy, to Morocco, (where my Dad tried to exchange me for two camels and a rug) and to Majorca, when there was only one hotel in Palma Nova, and very few people spoke English. For me, travelling overseas means having a complete change from the British way of life. When abroad, I 'do as the Romans do': I eat foreign food, try to communicate in the appropriate language and I get off the beaten track to see how people really live in other counties. I have never believed that everyone in the world should learn to speak English. I love the sound of new words, the challenge of communicating with people who are different from me and seeing their faces light up with delight that at least I am trying to understand them. It is challenging and rewarding. It needs preparation and sometimes detailed planning but my goodness, it has been worth it. In 2005, I went with my husband and children to Turkey on a water-sports holiday and it was great fun but mid-may through I decided that we should get away from the coast and see something of the country and culture. We booked a two day trip into the hills, found ourselves at Ephesus and there I experienced an encounter with the single remaining column of The Temple of Artemis, one of the seven wonders of the ancient world. On the drive back, we saw the ramshackle home of a widow, who would not survive if villagers did not give her food. In 2000, recently divorced, I took my children to South Africa and experienced the extremes of vast wealth and real poverty. In 2002 we cruised the Nile to satisfy my own life long fascination with ancient Egypt. While staying in Luxor, we were followed down the road by a man in a horse-drawn buggy who wanted us to go to a market. I wasn't there to shop, so to avoid him, I led the children to the opposite side of the street. Suddenly, there was a dreadful smell. I smelt it long before I saw the poor devil coming towards us whose 'galabia' was completely saturated with excrement. None of the locals seemed to notice him. It was just one of many life-changing experiences that have filled me with a love for my homeland and compassion for others. I am very grateful that by some quirk of fate, I was born in Britain, during a time of sustained peace, into a loving and generous family, in a time of plenty. We are so lucky. My Dad always said, "We have the best climate in the world but the worse bloody weather." My travels have taught me that we have so much more. We have fresh, drinkable water and enough to bathe in, even enough to waste. We have plentiful food. Our British produce is wonderful and we have the pick of the best from the rest of the world. We have the best healthcare system on the planet. So why are we so unhappy? Why do we drink too much alcohol and damage our own health through over-eating and lack of physical activity. Oh, the idiots are not abroad. They are right here. My advice to anyone who is dissatisfied with our green and pleasant land, is to go and see how the other half of the world have to live. Don't go to the Costas, demanding full English breakfast and football on big screen TV's. Go and see some of the real world. Then tell me that you don't have enough, that you are being short-changed by having to pay National Insurance and tax out of your pay. If you are unhappy with the NHS, take up your bed and walk in another person's shoes, where cholera infects the only source of water, where there are no antibiotics and no hope of recovery from most major illnesses. Once you have seen how much less green things are on the other side of some fences, then you will appreciate the desire of the down-trodden, the hungry and the war weary to come to our better way of life. I promise you, that no matter what you may believe, our lives are better than most. This really is the greatest country on earth. 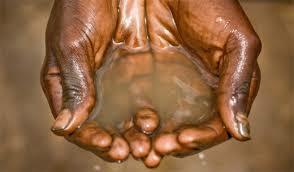 In Africa they walk miles for fresh water, you barely have to blink. In Yemen, every day, starving people struggle to survive. In other nations, all they have is lose, lose, lose. Be generous, we have so much, we throw so much away. Please give to the unfortunate who fall along life's way. Be British and be happy, benevolent and true. And trust me when I say that life is good for me and you. Well said, Adele. Your blogging in difficult circumstances is much appreciated.